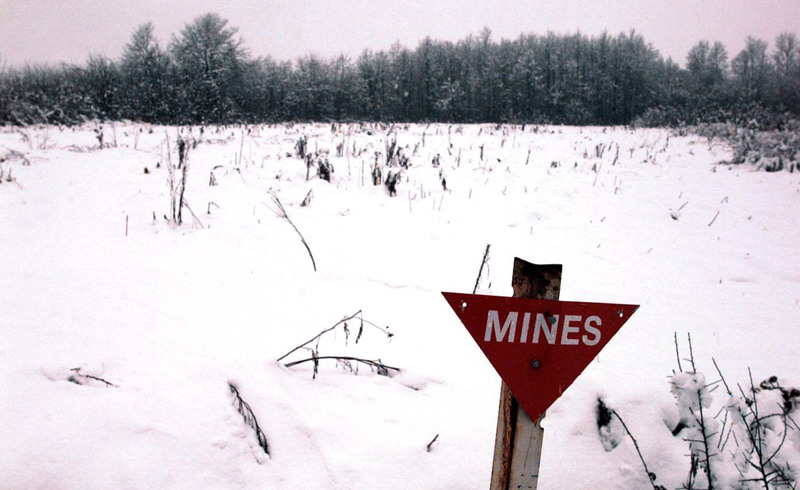 A sign warns of mines that were planted in a field during the Bosnian war. In a report published by the Bosnian and Herzegovina Mine Action Centre, it stated, " In Bosnia and Herzegovina there is still remaining more than 80,000 mines/ERWs. Mine problem is present in 129 municipalities and cities, or 1,398 affected communities and settlements."